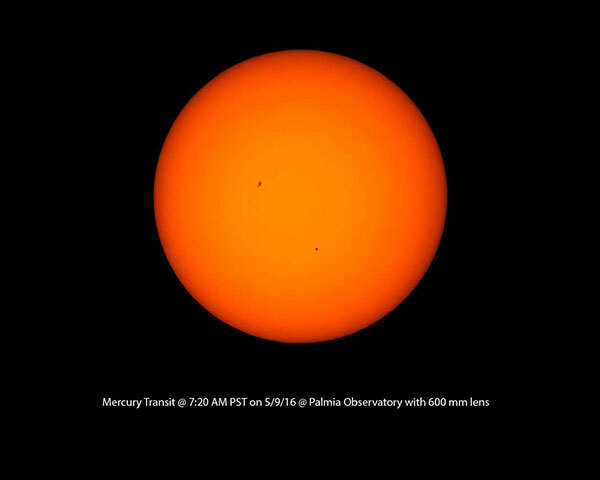 Palmia Observatory: Happy dream of planets eclipsing other planets; Previous Mercury Transit; Imaging new moon occulting stars? 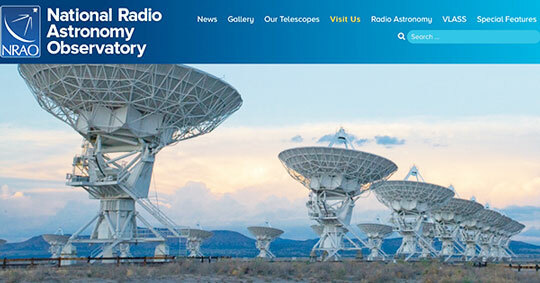 Thinking of VLA and OVRO radio observatory tours; Keep your fun ears on for the new year! Happy dream of planets eclipsing other planets; Previous Mercury Transit; Imaging new moon occulting stars? Thinking of VLA and OVRO radio observatory tours; Keep your fun ears on for the new year! it turns out not very often. In a previous web blog post of August 13, 2016, we reported on a Sky and Telescope article describing how amateurs are able to determine an estimate of the shape of a given asteroid by tracking when it occults various background stars as it moves across the sky. That is pretty neat stuff and I am tempted to try doing that sometime. Of course, it is pretty hard to beat experiencing the total eclipse back in August 2017, but this solar image of the transit of Mercury on May 9, 2016 was also pretty neat, especially given how the clouds came in before the whole transit was over. But the moon occludes stars all the time so maybe we can photograph stars just at the dark limb of the moon just before and find them occluded by the moon just a few minutes later. Consider trying this just after the next new moon on January 20. Finding and pointing at the moon will be a lot easier than finding and pointing at the location where an asteroid might be. Hmm, it seems it is possible but the moon will be quite low in the sky and the stars along the path of the moon are quite dim at about magnitude 10.5. Given that the moon has visible magnitude of about -7.7, this means the available stars are about 20 million times dimmer and to image the stars will result in the image of the moon and pixels around it to be blooming way passed saturation. At least it is the moon's dark limb that would be approaching and eclipsing the star. Based on the previous use of Aldebaran as a reference star, which could be imaged with good signal to noise ratio with a 1/60 exposure with the 600mm lens, means that an exposure of over 100 seconds would be required to maintain the same SNR. 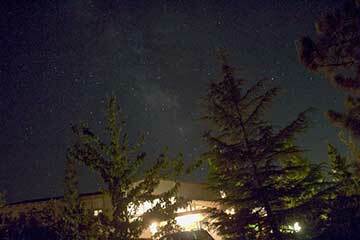 Maybe we could compromise with just a 10 second exposure and still see the star before being occulted. Hmm, this proposed observation does not look too promising, but I guess if I am out and about. Or, maybe I will just try it or maybe we should wait until a brighter star just happens to be in the path of the moon. Ok, ok, it was much easier in my dream to measure occulting planets, so let's change topics and make a few comments about radio astronomy. 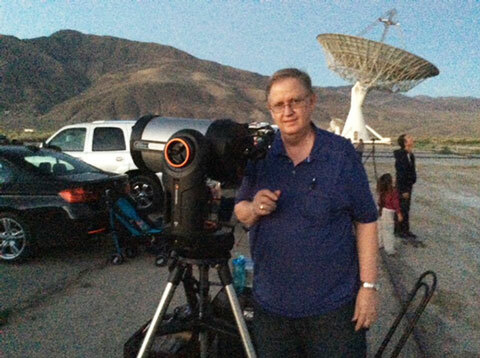 In previous posts we have commented about some interesting discussion on radio astronomy and The Teaching Company great series of DVDs on radio astronomer, and because of this we want to visit some other radio observatories. 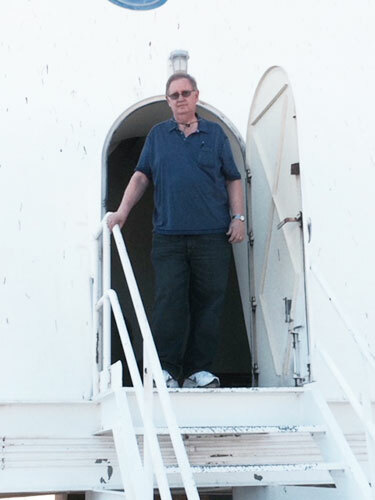 Previously we talked about going to Green Bank, VA, during the next meeting of radio amateur astronomers there, but it also turns out that the Very Large Array in New Mexico could also be an interesting place to visit. I remember when I first travelled to New Mexico as part of my work with Big Oil and I installed some instrumentation near Albuquerque to see if there was enough steam to build a geothermal power plant. It turned out there was not enough steam, but one of my great discoveries there was the local treat for lunch, the sopapilla! Wow, I could not get enough of those delicious treats and could find only one place back here in Southern California that made them with the same great taste and now that place is out of business and gone. So, now I have two reasons to travel back to New Mexico! We could fly to Albuquerque, have dinner with sopapillas, spend the night, drive the next day to Socorro to visit the VLA, have lunch with sopapillas, drive back for dinner in Albuquerque with more sopapillas, then fly back that night. Ok, ok, it's just one plan being considered! How do you propose to do it? Planning for a tour of the VLA reminds me of a previous tour, coordinated by OCA Doug Millar, of the Owens Valley Radio Observatory near Bishop and Big Pine CA. Resident Astronomer Peggy and I teamed up with other OCA youth members for a tour of the facility and a night of observing in the dark skies of the area in June 2014. 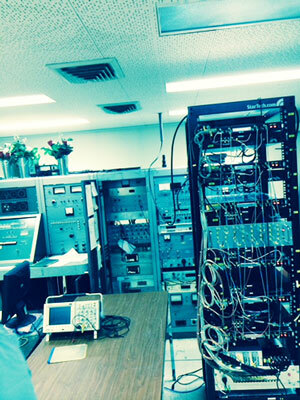 We had good access to the outside and the inside of one of the radio telescopes. I liked to pretend that it was my very own telescope, but reality soon returned. The antenna was in operation while we were inside and I watched one of the displays as it tracked its target across the sky. 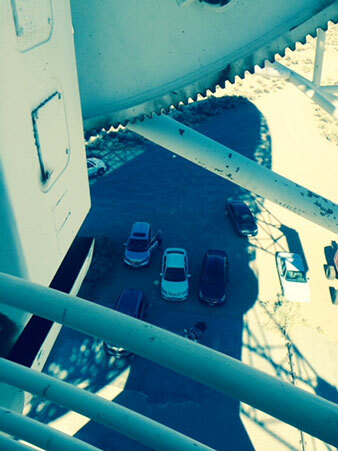 We got to go high up on the antenna and as you can see it is a long way down to the cars below. So, it was a lot of fun back in 2014 and Doug continues to offer to coordinate these tours so be sure to follow up and spend an interesting couple of days there. 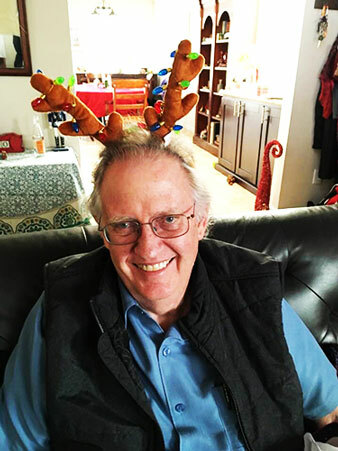 In the meantime, and finally as we make the transition to the new year 2018, be sure to keep looking up at the sky and keep your "fun" ears, antlers or antennas on for the coming year.